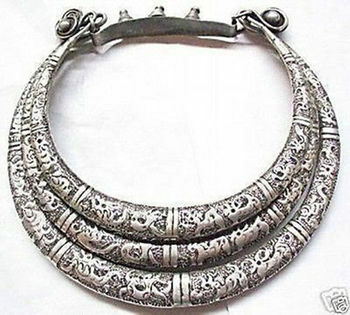 The Hmong necklace or Xuav traditionally is made of a silver alloy material can be very heavy depending upon how intricate the design is. 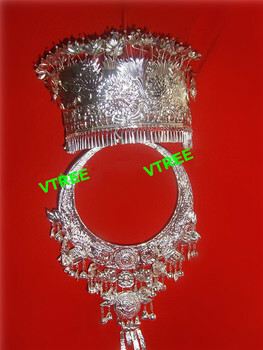 A common design consist of 3 layers of a double coiled center piece surrounded by rows of chain-linked ornaments. All of this is held together by a solid piece of necklace in a spiraled pattern.